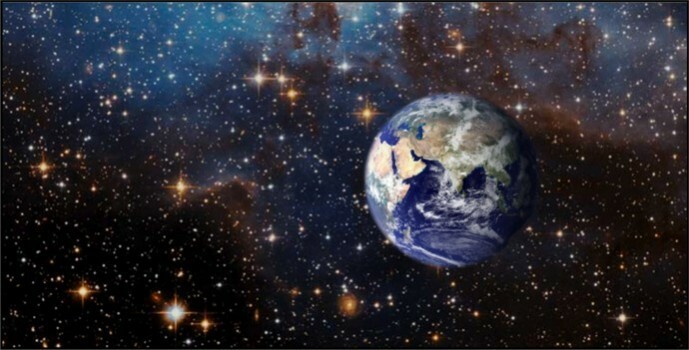 The estimate that the earth is somewhere around six thousand years old comes from a combination of Biblical and secular history, but depends mostly on reading the early chapters of Genesis as real history. First of all you need to accept that six days means six real days as we know them now, and that means there is no vast period of millions of years before the appearance of man on the earth on Day 6, as Genesis records. If this is true, then the age of the earth corresponds with human history plus 5 days. The Biblical text records that mankind’s history began with the creation of Adam and Eve and proceeded through the generations to Abraham as recorded in the genealogies (lines of descent) shown in Genesis 5 and Genesis 11. In both of these genealogies the length of each lifespan is given, along with the number of years each generation overlapped the succeeding generation. When you add these figures up, you do get a figure of just over 2,000 years from the Creation to the birth of Abraham. You need to take into account the fact that only whole years are given, and therefore each generation time will be plus or minus one year, and so for 10 generations you could be up to 20 years out, and that is the best the data is able to tell us. However, because of the long lifespans there are only 20 generations involved so this error will not skew the numbers greatly, and since the error is plus or minus one, any such errors will probably balance one another out. From Abraham to Jesus there are also genealogies listed, but they no longer provide precise lifespans for many of the named people, or lifespan overlaps. Therefore, for this period we need to cross reference Biblical historical characters and events with secular history. There have been numerous attempts at this, but most come up with estimates of not much more than 2,000 years. Now add to this the time from Jesus to the present, which is well documented as just over 2,000 years to this year of AD 2012, and, like most people who have tried it, you too will get an answer of around 6,000 years for creation to the present. Part 2: More detailed background by Daniel Durston. Man has long been intrigued by the origins of the cosmos and the age of the earth, and if humanistic and materialist worldviews are adopted, then figures such as 13.7 billion years for the Universe are touted. Generally there is more agreement amongst secular opinion on the age of the earth than the age of the universe, but even so when working in billions a small percentage of difference makes for very large numbers indeed, 1.e. the currently believed age for the earth by secularists is 4.54 billion years old +/- 1%. Though 1 % does not sound much, in this case it is over forty five million years! 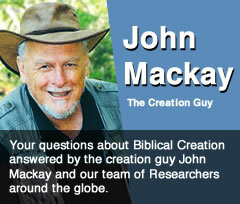 But at the opposite end where does the commonly quoted creationist figure of 6000 years come from? In short, as Diane Eager so well elucidates above, simply from taking the Bible’s record of family trees or genealogies as real history! From its first verse the Biblical Record claims God as Creator of the heavens and of the earth when it states; ‘In the beginning, God created the heavens and the earth’. Even time or ‘beginning’ had a created origin. Starting with Genesis 1, the Bible is packed with historical accounts, places and time stamps in which clues are left for the dedicated reader to follow. Its why Genesis does not start “once upon a time. In all of discovered ancient literature there is no other book known that provides some 4000 approximate years of such detailed continuous genealogical information as the Bible. The genealogies or ‘the begats’ of the old KJV, are found in numerous passage starting with Genesis 5 which is the family tree of Adam the first man. In ancient traditions (and some cultures today) genealogies were a way to document a peoples history into an orderly chronological account of events. Genealogies were very important to ancient Middle Eastern Cultures. We must acknowledge at this point that our Western Culture is not very genealogical since most people neither know nor care who their great grandfather was, which means most of us rarely grasp the importance of such family trees. Within its family trees, the Bible also provides specific ages for each person in their lineage and the time they had their first son (Adam had Seth when he was 130 years old, Genesis 5:3, Seth had Enosh when he was 105 years, Gen 5:6 Etc.) Genesis 5 records events form the first man Adam right up until Noah’s day in this way, and then Genesis 11 takes over recording from Noah’s first son Shem right up until Abram ( later Abraham) in the same manner. The logic of using the genealogies for finding when earth was created is quite simple as Diane has shared: If an accurate genealogy can be established from the creation of Adam to the coming of Christ, then the time lapsed for secular history from Christ down to the present can be added and a date for creation can thus be worked out. This task is usually done in 3 parts. Firstly by establishing the time period from Adam to Abram, as approximately 2,000 years, then secondly the period between Abraham and Christ, again roughly 2,000 years, and lastly the time from Christ to the current period also approx 2000 yrs. Adding these periods together gives an approximate 6000 year age back to Adam. But now for some more detail on each of the genealogies. The two genealogies in Genesis 5 and 11 are similar in that they work together to unite ancient history with more modern history via Abraham. Both chapters mark off ten generations, and both end by noting the three sons of the last person, Noah and Terah. Additionally both genealogies are accurately self-referenced which has been achieved by the genealogies stating both the age of the father when they died and the fathers age when the key son in the family tree was born. Over the centuries there have been numerous calculations by those who choose to use God’s Word as the starting point for their world view. In his thorough work, Dr Floyd Jones in Chronology of the Old Testament mentions over 30 chronologists and their attempt to find a biblical age of the earth. (Jones, Chronology, p66) From these 30 or so results, the youngest age for the earth was 5848 years and the oldest was 7513 years. The difference sometimes depending on whether they used the Septuagint or the Masoretic text. Amongst these well known chronologists was Archbishop James Ussher, an often mocked but nonetheless brilliant 17th century theologian, ancient historian and Hebrew scholar with an expertise on Semitic languages. Ussher dated the Earth at around 6,000 years old by first establishing when King Nebuchadnezzar lived, then working his way backwards through the genealogies Ussher came up with the creation date of 4004 BC. Independently, Johannes Kepler (1571–1630), who formulated the laws of planetary motion, calculated a creation date of 3992 BC. Similarly one of the most famous scientists of all time, Sir Isaac Newton (1643–1727) who is lesser known for his deep interest and respect for the Bible, came up with a ‘chronology of antiquity’. Newton wrote much about biblical history and vigorously defended a creation date of about 4,000 BC. He also often attributed his scientific findings to his biblical worldview. Some sceptics however have dismissed the Genesis genealogies as being inaccurate, suggesting there are gaps which is shown by the addition or omission of names. Their claim is simple: proving any omissions makes the whole chronology doubtful which therefore makes it not much use in establishing a date for the creation. However, the fact that both genealogies give the number of years each named person overlaps with the next name on the list means, they really can be used to calculate the number of years that each of the genealogies traverses. Furthermore, the two main lists in Genesis 5 and 11 overlap with one another since they both include Noah’s family, which means there truly is a continuous record from Adam, the first man, to Abram (later to be named Abraham). Those who wish to stretch this out to the hundreds of thousands of years the evolutionists believe have occurred since the appearance of modern man, requires the insertion of not just one or two generations, but of literally thousands of generations. Anyone who does this, is blatantly guilty of ignoring the plain meaning of the text. What they are doing is not interpreting the text, but deliberately modifying the text to suit assumed evolutionary ages, when even the neo-orthodox Old Testament scholar and professor of Hebrew, James Barr who rejects the Genesis account as actual history, still acknowledges that the author(s) of Genesis intended to convey an actual and thorough chronology from Adam to Noah and Abraham and beyond through the Hebrew genealogies. Those who attempt to read millions of years into the Bible narrative not only violate traditional accepted standards of Hebrew linguistics (which are never questioned when applied to other passages in the Bible) but severely undermine the authority of God’s Word and brings the God of the Scriptures into disrepute. In this area as in any other pursuit of truth or ‘knowledge’ (Latin ‘Scientia’ whence we derive Science), your worldview will determine where your ‘starting point’ is. And that starting point will govern how the evidence is viewed and ultimately interpreted. When read at face value in its historical and linguistic setting, the Biblical Text which makes the self claim to be God’s inspired Word, yet again proves true and verifies itself as trustworthy in its authority. As John Mackay keeps informing us – there are many opinions which contradict everything in Scripture but the facts never do. It is important to note that if non-evolutionary methods are adopted, there is no need to speak in terms of millions of years from the point of earth’s creation up until the creation of man five days later. This is important because there are those such as day-age theorists and progressive creationists who would try to squeeze millions of years into the first five days of creation. This is unscriptural, unscientific and unnecessary. A clear face value reading of Genesis chapter one would lead any reader to conclude there are six creation days from Earth to Adam. Mental gymnastics are required to make it say anything else. Jones, F. N. 2005. The chronology of the Old Testament, Green Forest, Arkansas: Master Books. Pierce, L, (et al) 2009, Newton’s Revised History of Ancient Kingdoms, Green Forest, Arkansas: Master Books.